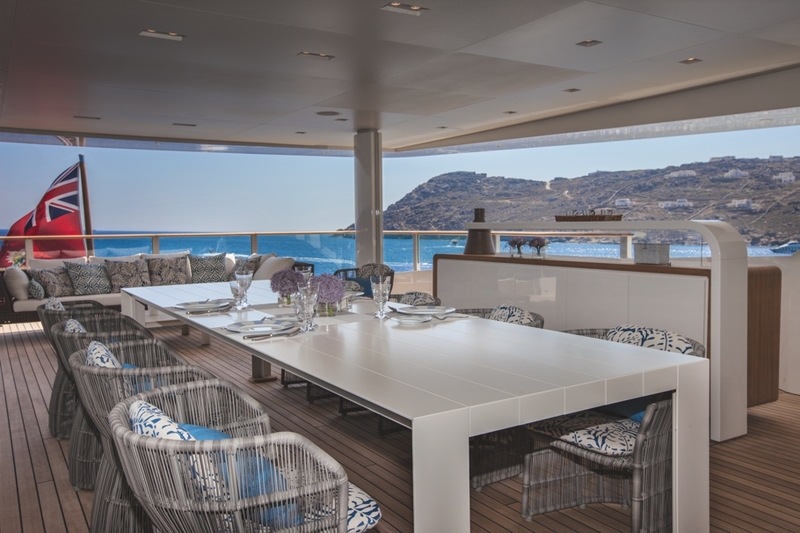 CRN, part of the Ferretti Group, has unveiled M/Y CRN 133 Saramour, a 61 metre megayacht built in their historical Ancona shipyard. 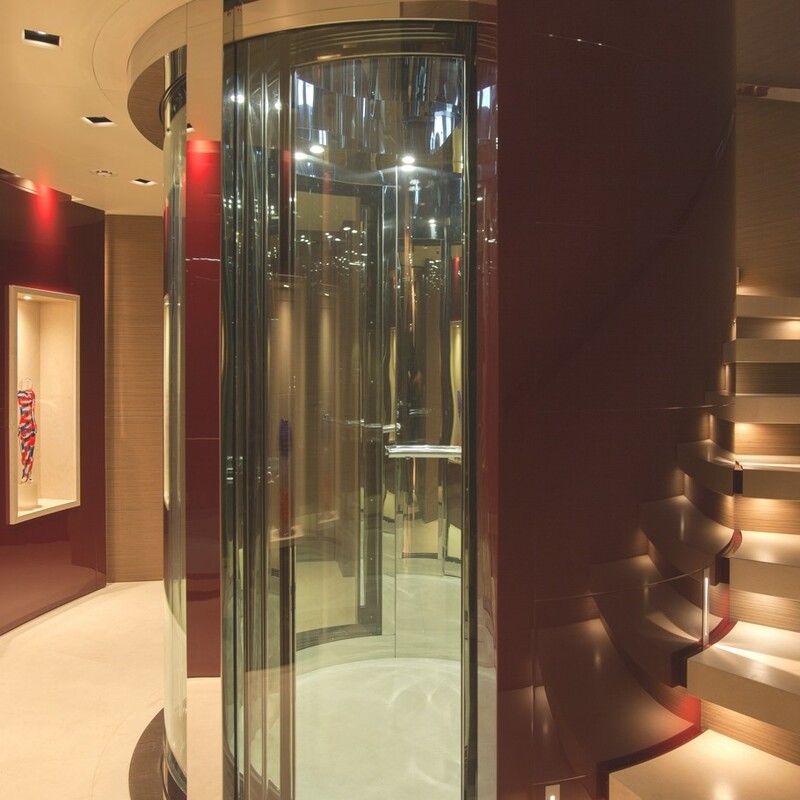 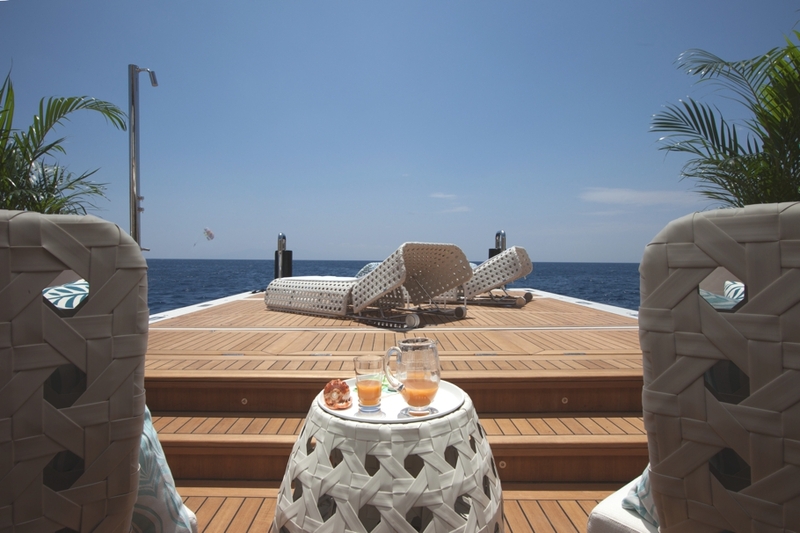 Launched at a private ceremony in March, Saramour is the result of the strong synergy between the owner and the shipyard. 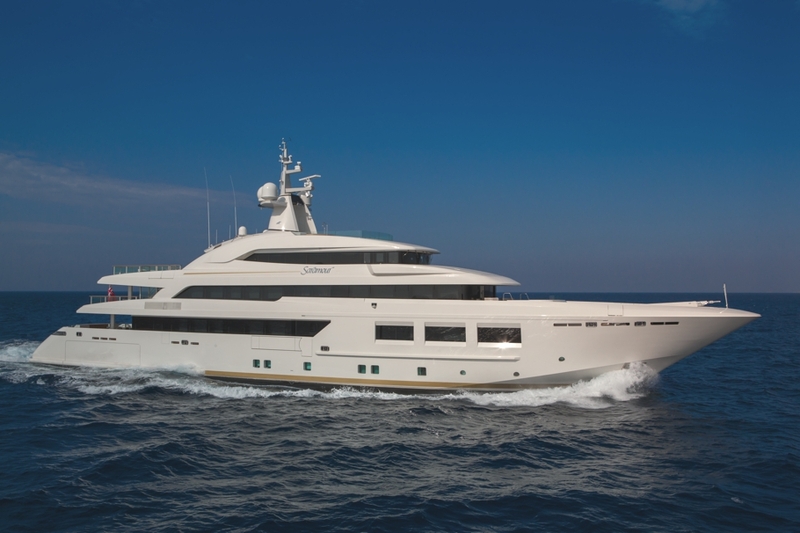 CRN’s technical department pioneered the naval design and engineering, while Francesco Paszkowski Design developed the yacht’s exterior lines and sophisticated interiors, in collaboration with CRN. 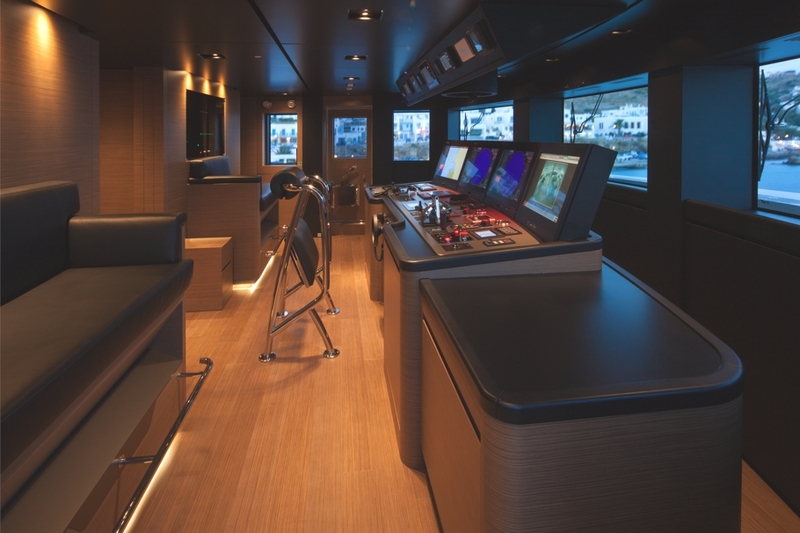 Built in Ancona, the vessel has an overall length of 61.3 metres and a beam of 10.20 metres that develops over five decks with a sub lower deck. 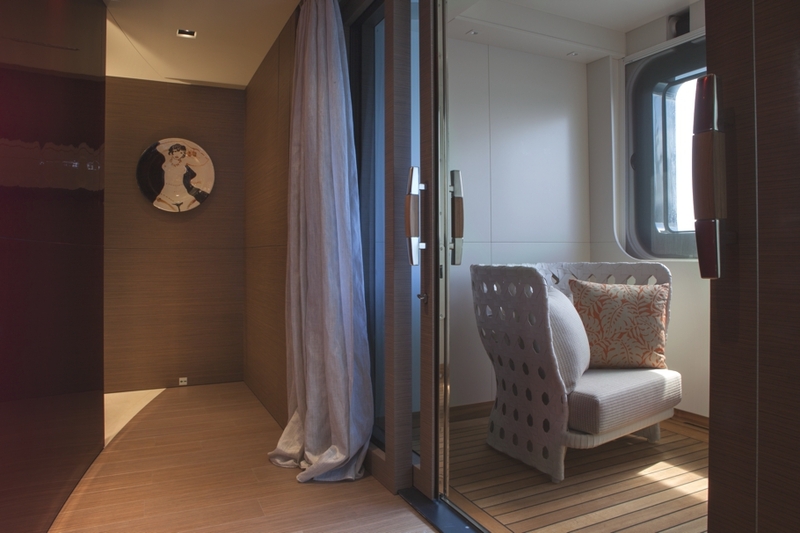 Saramour can accommodate 10 guests and 13 crew members across five guest cabins, including two suites, two VIP cabins and the master stateroom. 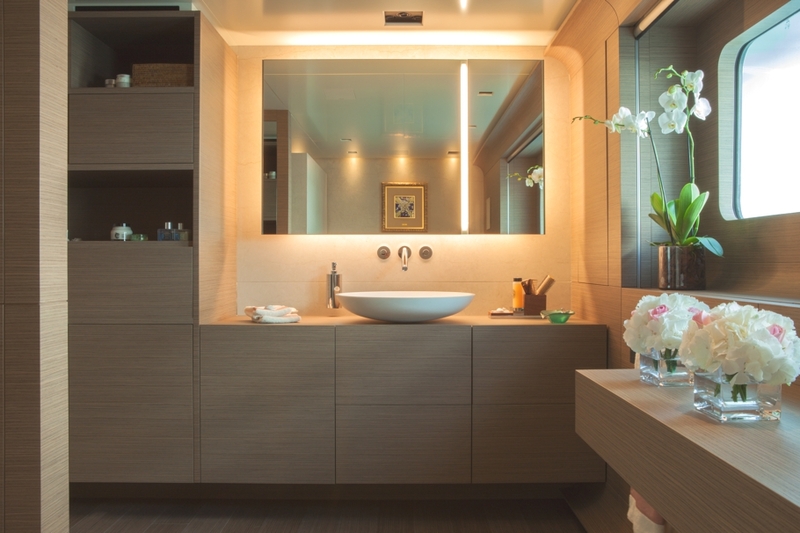 The interior style is classic and modern with design elements that draw inspiration from the automotive sector, a trademark of Francesco Paszkowski Design. 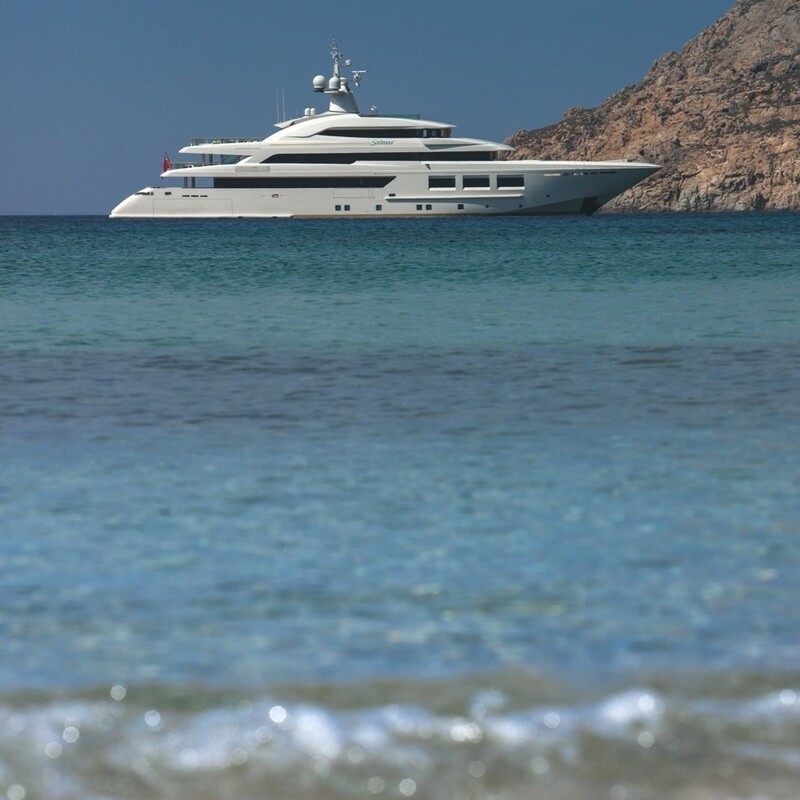 Its exterior profile is characterized by harmonious lines and a timeless design style that flawlessly blend together, resulting in a refined and clear aesthetic, further enhanced by the polished white and light grey shades of the hull. 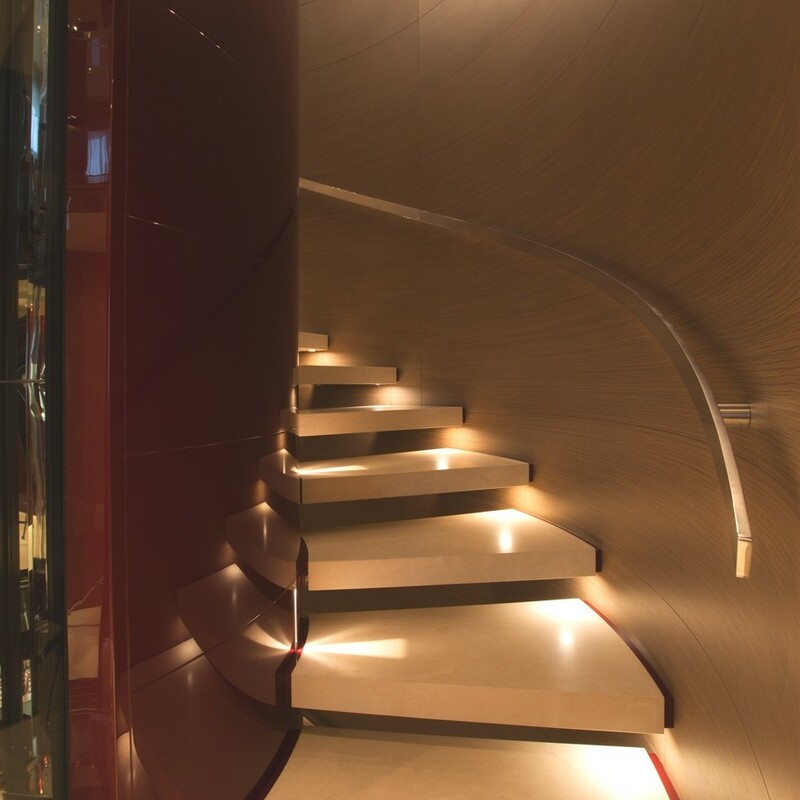 A minimal style has been chosen for the interiors, where curved lines, light, fluid spaces and recurrent design elements result in visual consistency throughout the yacht. 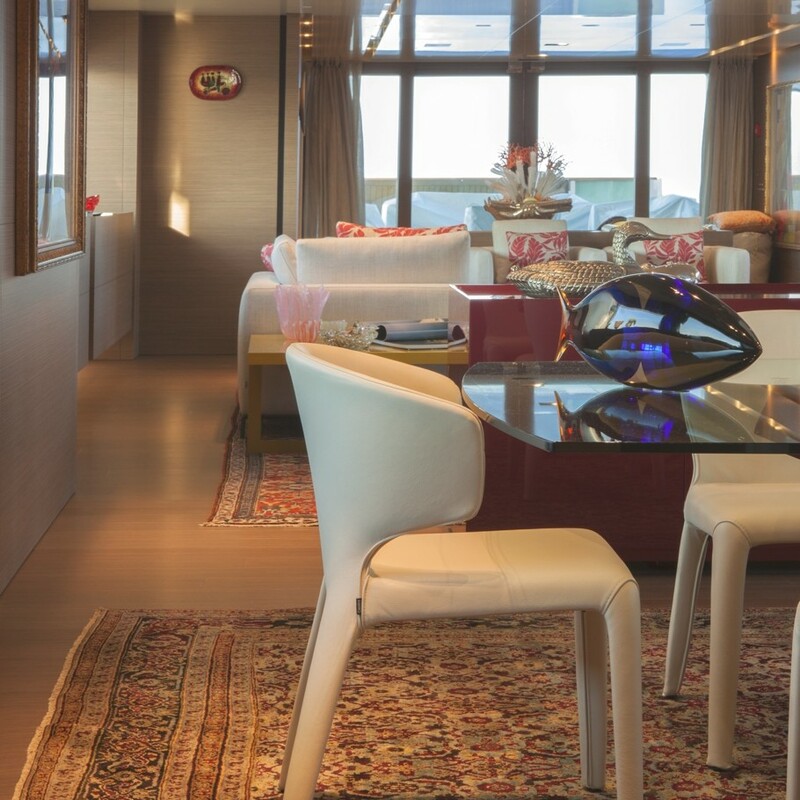 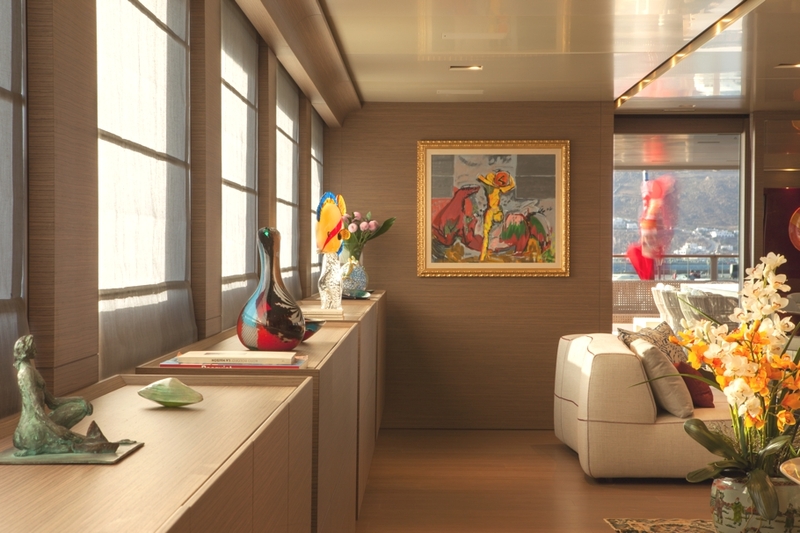 This contemporary approach has been applied to all the furniture and furnishings, a solution that was designed to accommodate and enhance the precious works of art personally chosen by the owner to turn the yacht into a large, personal “art gallery”. 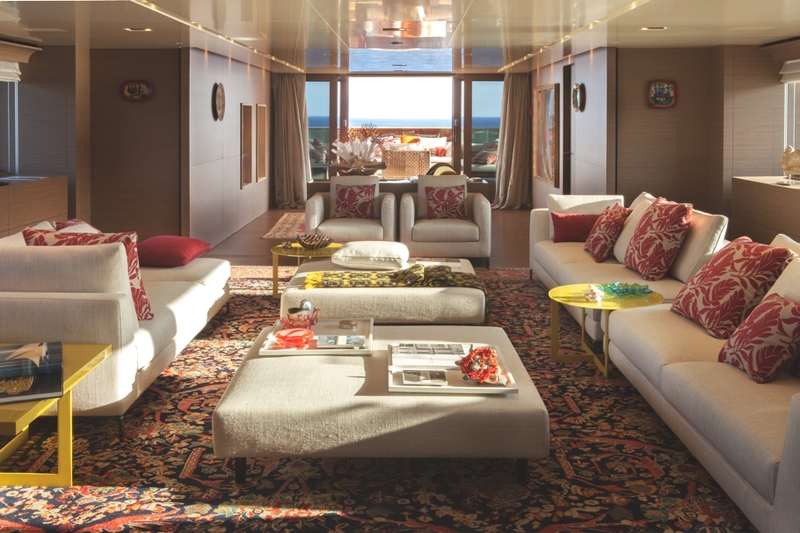 At 61 metres in length, Saramour boasts an additional deck, the fly deck, designed with guests’ onboard wellbeing in mind. 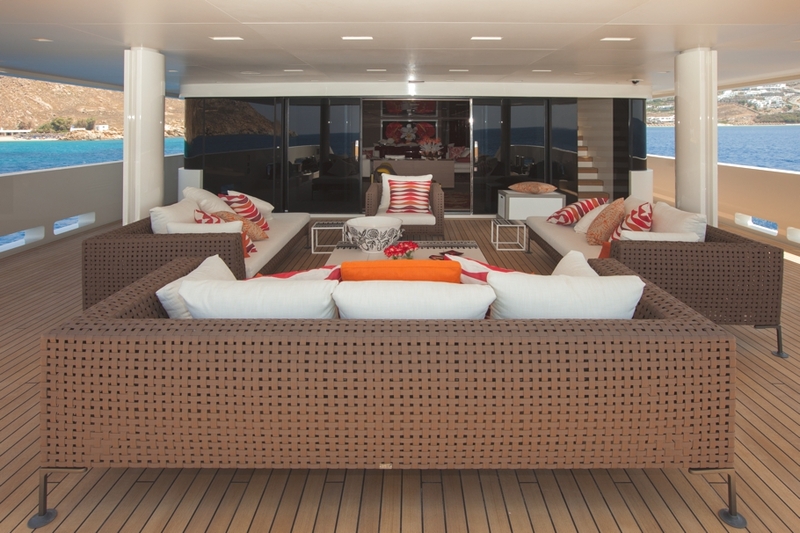 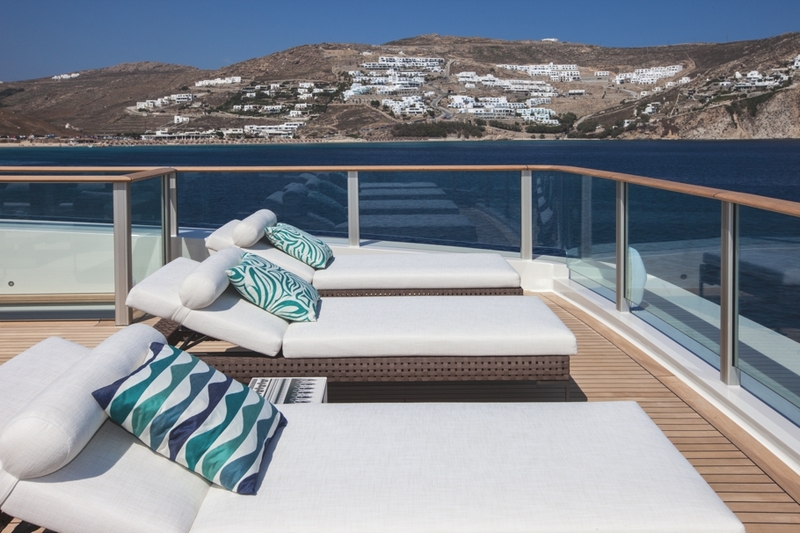 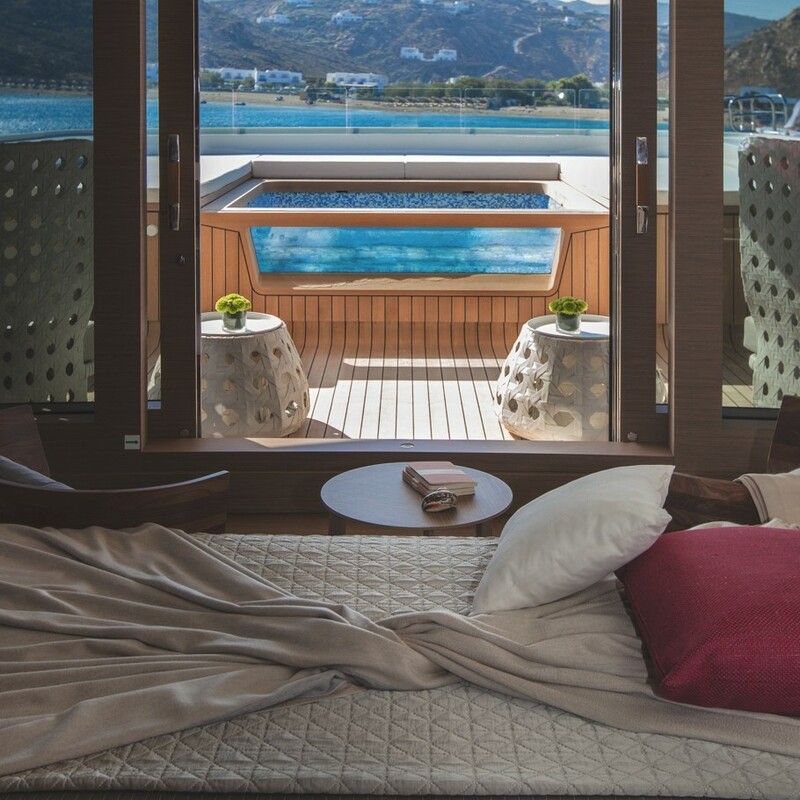 A wide sunbathing area can be found at the extreme stern, furnished with comfortable chaise longues and a lounge area that can be converted into a helipad for the touch-and-go landing of a helicopter weighing up to three tons. 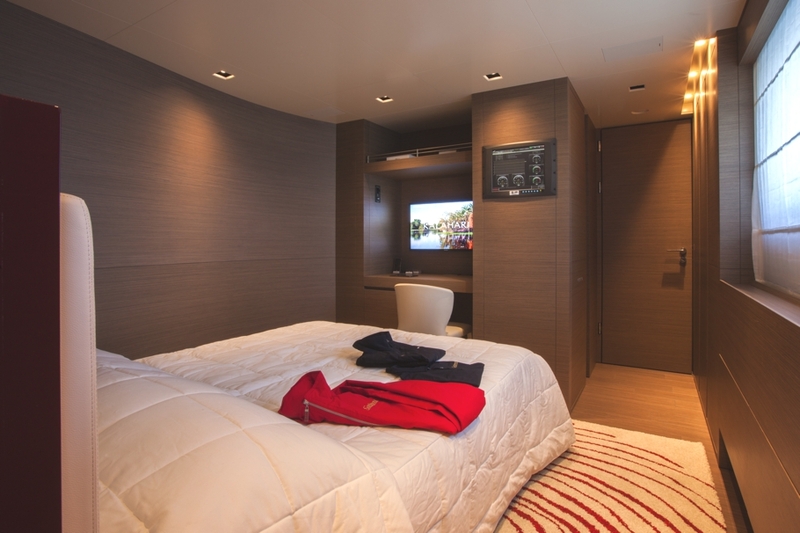 Inside, the fitness area is fitted with Technogym training equipment and a massage bed. 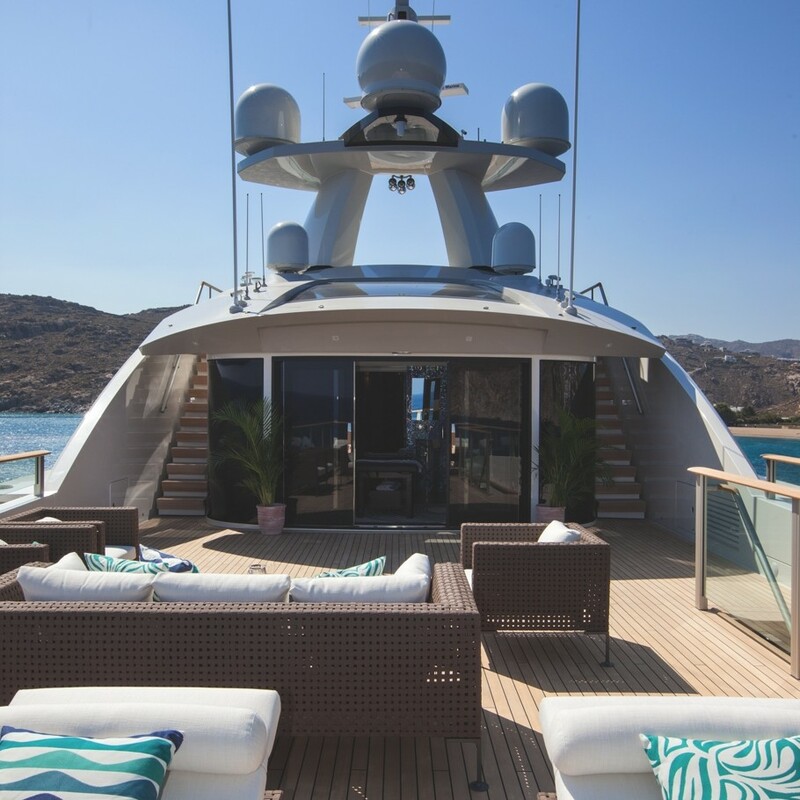 Saramour is equipped with two 3512 C-C 1230 kW@1800 rpm Caterpillar engines that push her to a maximum speed of 15 knots and a cruising speed of 14 knots. 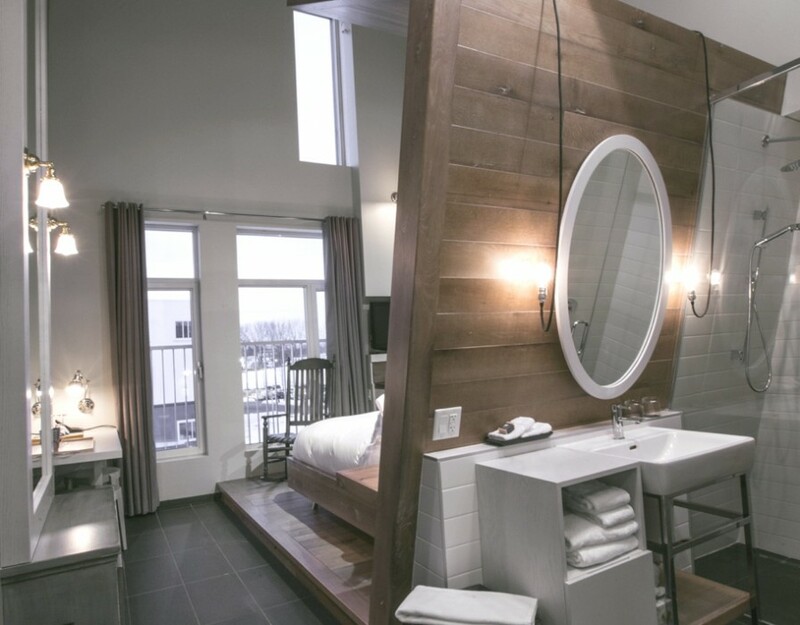 Canadian architectural practice LEMAYMICHAUD in association with St-Gelais Montminy et Associés Architectes and Hudon Julien Associés have completed the Hôtel La Ferme project. 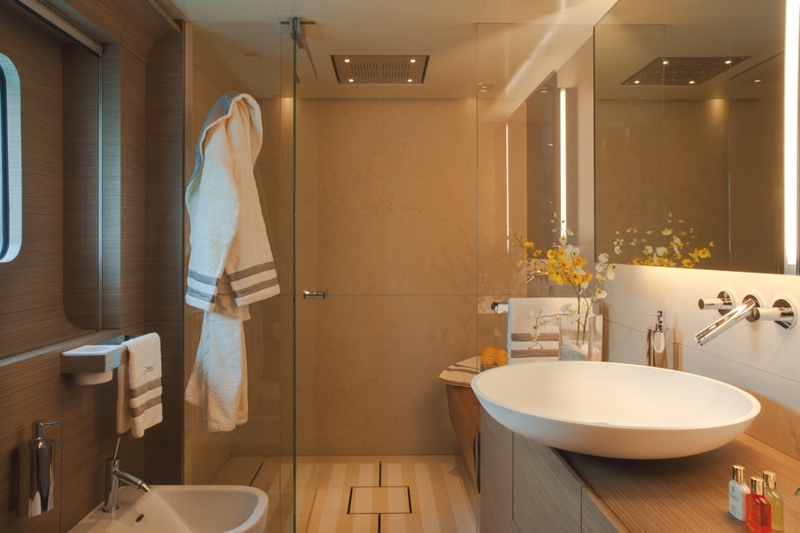 Completed in 2013, the luxury hotel can be found at the heart of Baie-Saint-Paul, Québec, Canada.